Adding jet black squid ink to a fresh pasta dough gives it a striking, shimmering appearance with a slight hint of the sea in its flavour. Most traditionally used in Italian cooking, squid ink (or sometimes cuttlefish ink) can also be used to colour and flavour risotto. The dramatic colour of the pasta is a sure-fire way to make a dish one to remember. Cut the dough into your preferred shape (tagliatelle, pappardelle, etc). 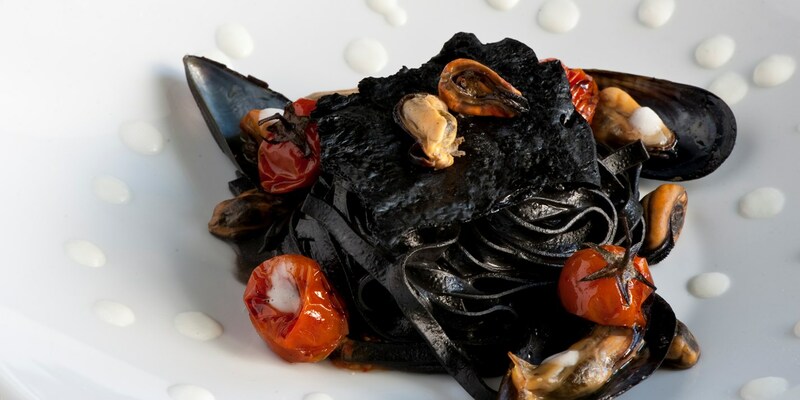 Rosanna Marziale serves her squid ink pasta with mussels, calamari and a creamy mozzarella purée, while Luke Holder makes an impressive Squid ink garganelle to serve with some delicious Alaskan king crab.